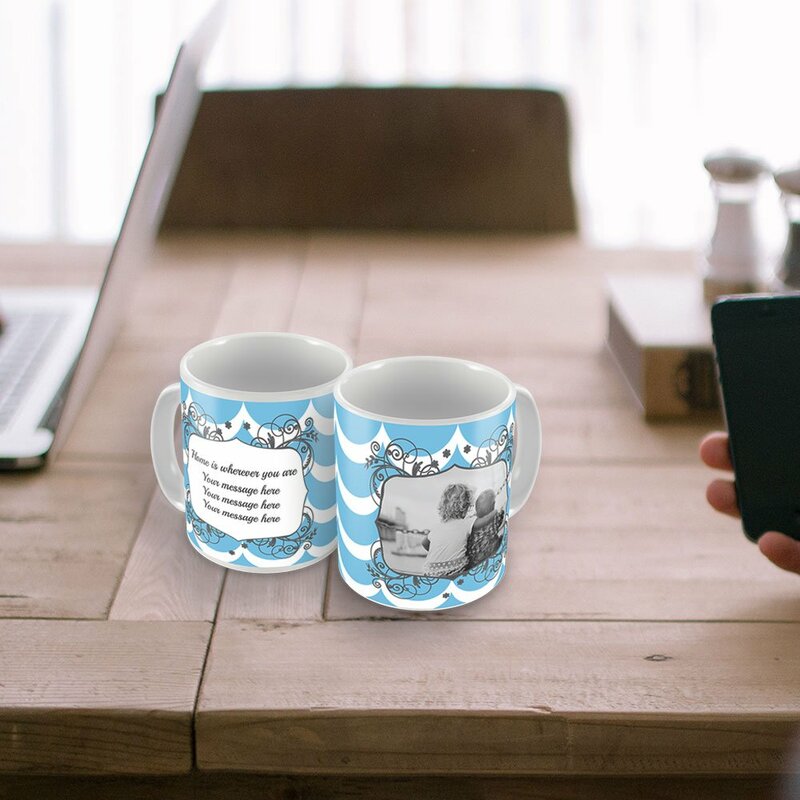 This personalised mug makes a fantastic gift for any occasion. A image of a treasured moment and short message is the perfect way to show someone how much you love them. An image on one side and a message readiny 'Home is wherever you are' incased in a framed swirl with a waved white and blue background is a sentimental way to celebrate any occasion. Check out our other products with a matching designs.